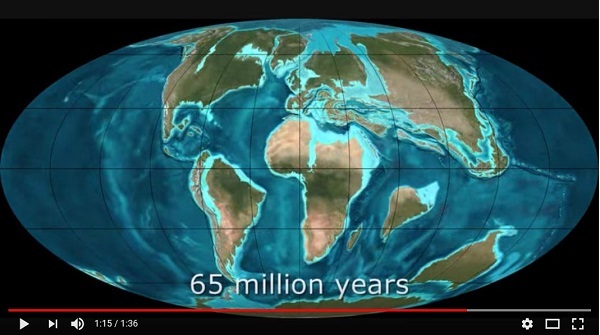 Where will we be in 250 million years time? 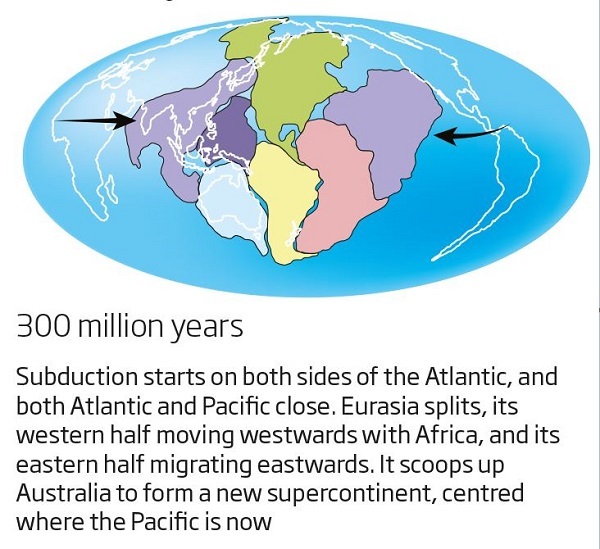 India was on its way to slam into Asia, Eurasia had not yet formed and South America had split off from Africa. 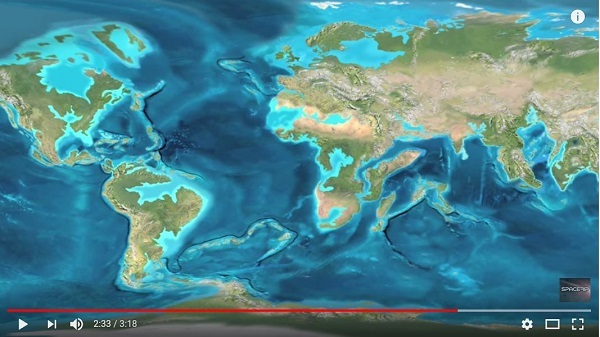 Of course, the temperature and the shape of the ocean basins will determine how much land is showing. 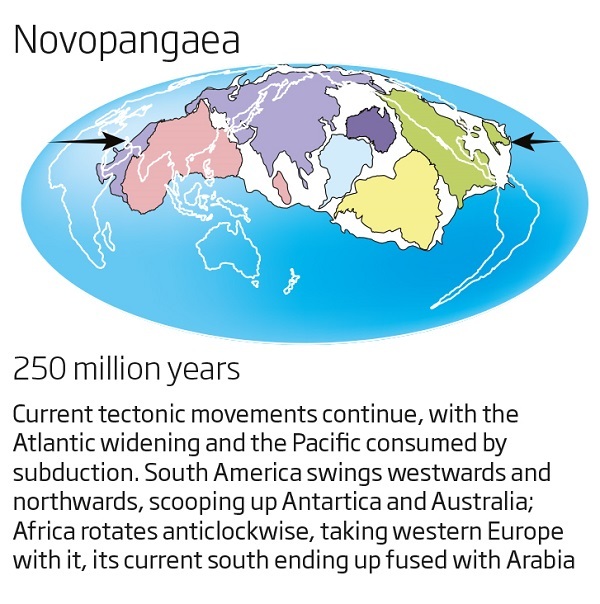 The money seems to be on a new supercontinent, probably to the north, with or without Antarctica. 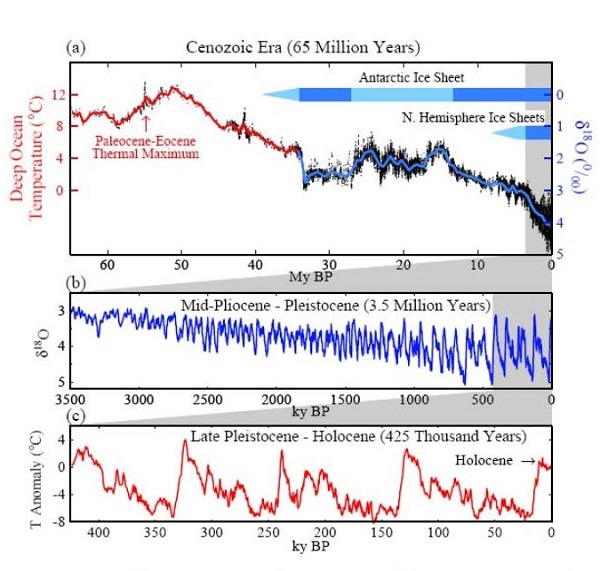 If you had an ice sheet on both poles it would make a difference to sea levels and climate. The truth, however, is that beyond about 50 million years it is basically guesswork. There are three main functions going on. Firstly, plates can slam into each other as with India and Asia. Secondly, you can have mid-ocean upwellings. Thirdly you have subduction zones, where one plate slides underneath the other. 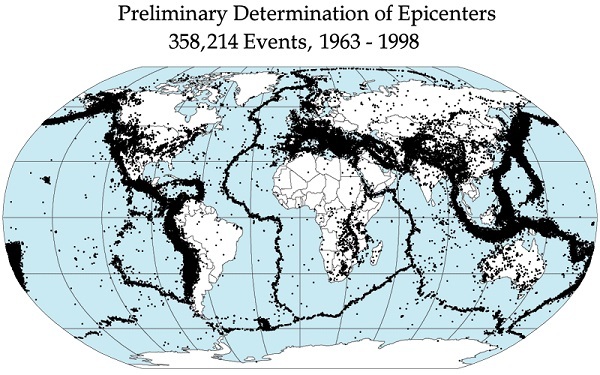 The major uncertainty is that scientists have no idea at all how new subduction zones form. They come from deep inside the earth’s surface, and are may millions of years in the making. I’ve been intrigued by the Andes Mountains, where the 65 million years map shows the intrusion of the ocean along the west coast. Research a few years ago indicates that the Andes only started to rise 30 million years ago and was near full height 14 million years ago. Until then the Andes were thought to be younger, about 14 to 10 million years ago. An intriguing factoid is that Ecuador’s Mt Chimborazo at 6,263m is actually the furthest point from the earth’s surface to its core. It changes very slowly with evolutionary processes able to respond. Something very different is happening now, with the sixth great extinction well under way. 250 million years would be an extraordinarily long time for a species like Homo Sapiens to survive. The realistic prospect is that nature will survive the plague-like infestation of this topline predator and destroyer of habitats like no other, and return to a gentler process where species continue to evolve and prosper. It may be a question of what damage we do on the way out. Or will we learn to align with the underlying processes of change? 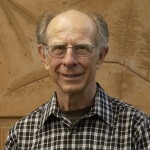 Nature’s big brain experiment is on the line. I’ll need to check the 59-page Iowa testimony, but from memory weathering rock takes CO2 out of the atmosphere, and the rise of the Andes probably saved us from complete deglaciation again and put the planet on a path where in recent times the Holocene has provided Goldilocks conditions for the spread of Homo Sapiens across the globe. Personally, I’ll be fully and untraceably dispersed, fairly widely, as mostly bonded atoms. Dunno about the rest of youse. CO2 can dissolve in rainwater forming the weak acid called “carbonic”. Apologies for my pre-dispersal loquacity. The writer saw this defacto Pangenia providing a stimulus to evolution. The weathering of calcium containing rocks by dissolved CO2 creates soluble bicarbonates that are converted to relatively insoluble carbonates that are incorporated into shells, coral reefs etc,. Some proposals for future cement production convert calcium and magnesium containing rocks into cements that actually remove CO2 from the air during cement curing. (Conventional cement is made by heating a mix of limestone and materials such as clay to a high enough temperature to drive out the CO2 in the limestone and create calcium minerals. The cement sets by the conversion of these minerals to hydrates and carbonates. The amount of CO2 absorbed is less that expelled during manufacture. The cement industry is responsible for about 5% of world CO2 emissions. Rethinking Cement focuses on cement production, the single biggest industrial producer of emissions. Cement production causes 8% of global carbon emissions – more than the global car fleet. The first stage of cement making is to transform limestone (calcium carbonate – CaCO3) into lime (CaO), thus releasing carbon dioxide (CO2) as a waste product. Over half of cement-related emissions are due to this chemical process. We can’t continue to use limestone in this way any more than we can keep burning coal. Rethinking Cement shows how Australia can lead the world with zero carbon cement. We have the technology to wipe out emissions from cement in ten years, and with smart thinking, we can even turn cement into a carbon sink of the future……. Strategy 1: Supplying 50% of cement demand with geopolymer cement. The reactions involved in making geopolymer cements do not generate greenhouse gases, and therefore zero emission geopolymer cements are possible. Strategy 2: Supplying 50% of cement demand with high-blend cements. Regular cement can be blended with other materials, reducing its carbon intensity. This strategy proposes increasing the proportion of replacement material to 70%, using fly ash, slag, clay and ground limestone. Strategy 3: Mineral carbonation. This strategy employs a new technology, mineral carbonation, to capture the emissions from the remaining production of Portland cement. With mineral carbonation, waste carbon dioxide is captured and chemically sealed within rock. Strategy 4: Using less cement. By designing structures to use concrete more efficiently, utilising high strength cement, and replacing concrete with timber, overall cement consumption could be reduced by around 15% in 10 years. Strategy 5: Carbon negative cements. There is the long-term potential to develop magnesium-based cements which absorb carbon dioxide, and would therefore have a negative emissions profile. Governments and industry can support a rapid shift to a zero carbon cement industry. One powerful stimulus to all the technologies presented in this report would be a national policy putting a price on cement carbon emissions, including imported cement. The Australian Government could back up such a policy with a national target to reduce the carbon intensity of cement, which becomes progressively more stringent. This target could be supported by public investment into research and deployment of low-carbon cements, similar to the support for renewable energy provided by the Clean Energy Finance Corporation and the Australian Renewable Energy Agency. Governments should also introduce new regulations or incentives to encourage the use in cement production of stockpiled fly ash and other waste materials such as waste glass, red mud and bagasse ash. Cement certainly needs to be sorted, and it seems that it can be. CO2 is returned to the atmosphere principally via subduction of oceanic crustal plates beneath continents. When a continental plate overrides carbonate-rich ocean crust, the subducted ocean crust experiences high temperatures and pressures. Resulting metamorphism of the subducted crust into various rock types releases CO2, which makes its way to the atmosphere via volcanic eruptions or related phenomena such as ‘seltzer’ spring water. This return of CO2 to the atmosphere is called ‘outgassing’. Burial and outgassing are not in balance, which produced climate change., but very slowly over long time periods. The rate of geologic changes to atmospheric CO2 is only about 0.0001 ppm CO2 per year, compared to more tha 2ppm per year now. From geological forcing you get about 100 ppm change in a million years. Every year we put carbon from fossil fuels into the atmosphere that took 100,000 to get there via sedimentation. When geologists tell us there always has been climate change and always will be, they need to do the calculations which Hanson has done. Humans are disrupting geology in a huge way. They call for empirical evidence. There you have it! 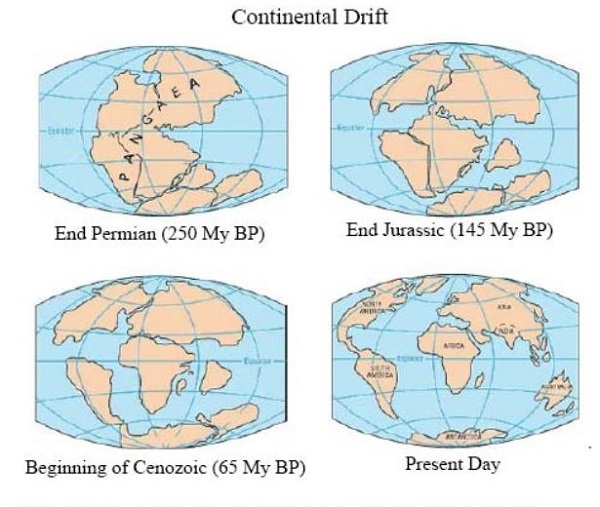 Of course since the Panama Isthmus closed over 3 million years ago, the Milankovitch cycles have taken over as the main driver, before humans came along.